This week we caught up with Eleanor. Read more here to learn a little more about her experiences as a fellow. I’m a member of Phi Mu where I previously served as the Sisterhood Development Chair as well as being a member of Sophomore Leadership Circle. I am a member of the student run PR firm, Creative Consultants, where I am a copywriter for my team. I’m also a member of PRSSA and UGA Miracle. I was drawn to the program because it offered a unique opportunity to exercise both of my majors. I was excited by the aspect of being able to use the knowledge I’ve gained in public relations to effectively communicate political topics, an area which is of great interest to me. I coordinate the weekly newsletter, which involves compiling all of the content generated from the other members of the PR team into a cohesive format to be sent out. My dream job would be to have the opportunity to work on Capitol Hill for congressman or woman. I love the welcoming atmosphere. I think almost anyone can feel at home in Athens. It’s a small city but there are so many different things to do and see the list is almost endless. I love to cook and spend multiple nights weeks whipping up meals for me and my roommates. Fitness is also very important to me. Many of my afternoons are spent running or walking with friends on Milledge Ave.
Harry Potter and the Goblet of Fire, I will never get tired of those books. They are simply timeless and always a mood booster. Coffee always. Multiple cups a day. 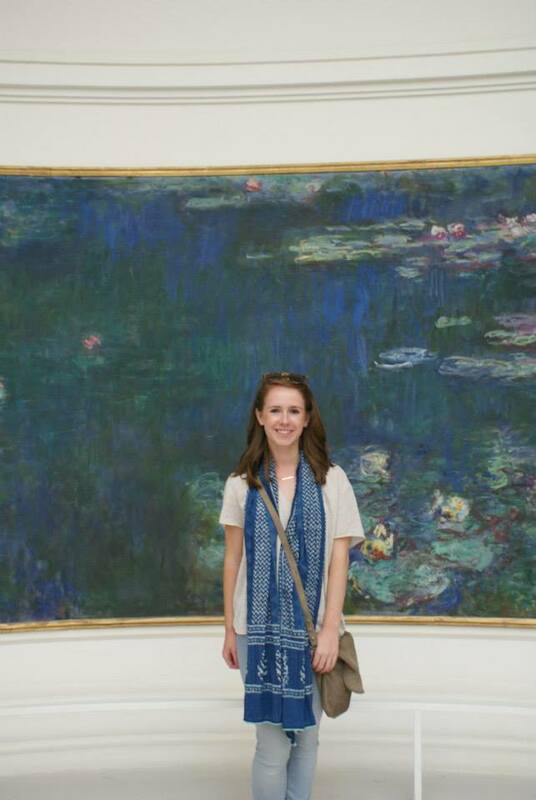 I studied abroad in Paris for six weeks and fell in love with the city. Being constantly surrounded by such rich culture and history is an experience I will never forget. I was intrigued by all aspects of french customs and was pleasantly surprised that contrary to the stereotype the french people while more reserved than Americans are still very welcoming and friendly. Studying abroad was an unforgettable experience. I felt that I gained a sense of independence while traveling as well as a more accepting view of another country’s cultures and customs. I was fascinated by the history, culture and people everywhere I traveled. And the food wasn’t bad either. Politicians and those involved in the political process shape the future of our country. A responsibility that big is simply fascinating to study and be involved in.